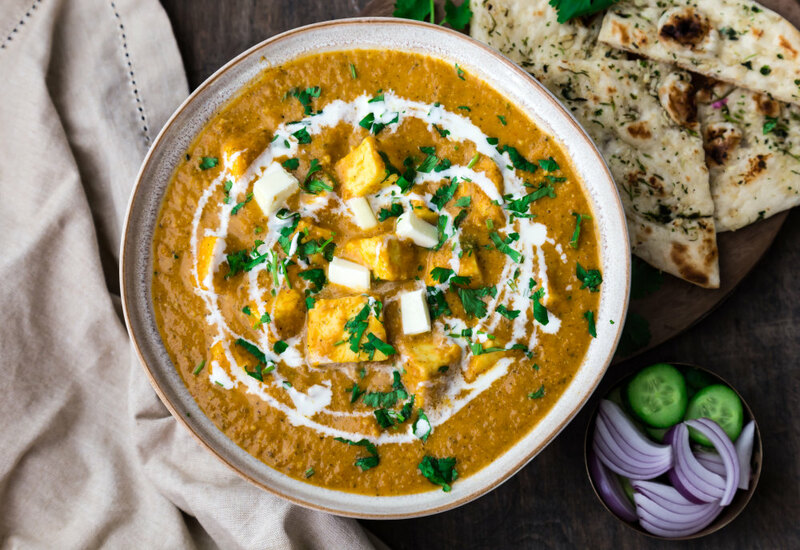 Paneer Butter Masala or Paneer Makhani is one of the most popular Indian paneer recipes and a visit to any Indian restaurant is incomplete without this one. This dish is made of soft paneer (cheese) pieces soaked in a rich, creamy tomato-based gravy, flavored with the Indian spices garam masala and dry fenugreek leaves. It pairs well with Indian flat breads like naan, roti, paratha, and even rice. Substitute tofu for paneer and coconut oil for butter for a vegan option. Per Serving: 800 calories; 62g fat; 34.8g carbohydrates; 31g protein; 162mg cholesterol; 1769mg sodium.